The FiberTite team is proud to showcase informative blog posts written by guest bloggers to further educate our audience and promote thought leadership in the roofing industry. This guest blog post is courtesy of Stephen Fox, from Costello Management. For commercial buildings, a roof serves as the first line of defense against natural hazards such as fire, rain, wind, ice, hail, snow and extreme heat. As such, it's the most vulnerable part of a building. Just think about this: Every day your roof is exposed to sudden weather changes and various elements that could cause decay and deterioration. 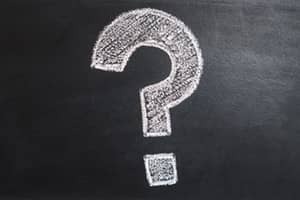 So if roofing issues aren’t addressed quickly, it’s likely your roof will sustain further damage, which greatly increases the chance it won’t sufficiently protect what’s below it. 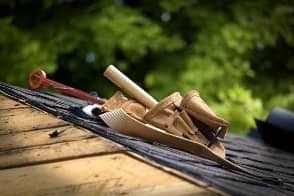 The problem is this: How can you tell when your roof needs to be completely replaced versus when it needs to simply be repaired? Here’s what you need to consider to choose the correct course of action. Try to answer these questions to help you determine if it’s time for replacement or repair. - What exactly is damaged and how serious is it? - Does the building have proper insulation? - If the damage is severe, will it be difficult to tear off based on its location? - Do the activities performed in the building cause moisture? Roof repairs are just one of the many maintenance checks properties must undergo. If the roof issues found are only minor and can be remedied, there’s no need to replace it at all. Likewise, if your roof insulation is still intact, in good condition and has not yet reached its expected lifespan, a repair is the most practical route. Not only is it more affordable than replacing the roof, it can also prolong its lifespan. If the damage is already big and beyond repair, then you have no choice but to replace your roof. In addition, if it’s been previously re-covered, you won’t be able to recover it again. Experts suggest that if more than 25% of a roof has been damaged, then its replacement is highly advised. Aside from the roof itself, it’s also important roof insulation be replaced once it is already wet or ruined. If you want a long-term solution, a roof replacement is also ideal. Not only will you be able to implement new roofing technologies, but your future maintenance costs will be lowered because roofing issues will be greatly reduced. Specific roofing elements are also a factor to consider when deciding whether to repair or replace the roof. If the causes of damage are from impact or an incident of poor insulation, then a roof repair could be a solution. On the other hand, if there has already been extensive subsurface moisture present below the existing membrane of the roof, then the roofing system should be replaced. Wood blocking, wet insulation and gypsum will cause deterioration and lead to future problems, such as mold growth. That’s why it is important to fix the problem right away before the situation gets out of control. Aside from familiarizing yourself with the benefits and drawbacks of each roofing solution, it’s always best to consult a commercial roofing company or roof consultant. These professionals will give you the information you need and the options most applicable for your building.